The biggest nightmare for Isis was how some European countries, such as Germany, welcomed Syrian refugees with open arms. The solidarity shown by thousands of citizens from Greece to Sweden harmed Isis. It cannot repeat enough that Muslims should come to its “caliphate” because Europeans are racists and Islamophobes. By hosting Syrian refugees, we have shown that Isis is wrong. What many Islamophobes and racists in Europe and in the United States don’t realize is that this is a war for the minds and hearts of millions, if not billions of people. This is a spiritual war – not in the sense of a military war in the name of god, a holy war or a crusade. No, it’s a spiritual war because the spirits of people are at stake. The writer of this article, and countless others who have voiced similar thoughts in recent months and years, sees how our hatred plays right into the aims of the so-called Islamic State. It may sound idealistic and naive, but Jesus would agree with the message of this commentary: We fight hate with love. It’s a war for minds and hearts – but not only for the minds and hearts of Moslems; the minds and hearts of European and American non-Moslems also hang precariously in the balance. Will we give in to hatred, racism and religious self-centeredness, as some hate-mongering politicians on both sides of the Atlantic are telling us to do? If we do, our souls are in greater danger than the physical lives of those Syrian refugees that are drowning in the seas between Turkey and Greece. Think hard so-called Christian of the West: God will judge us too! 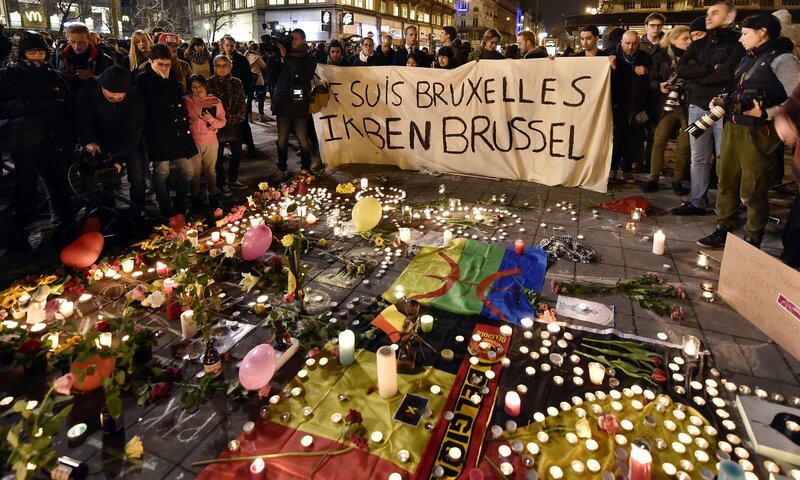 Categories: Global Visions, Radical Christian Thoughts | Tags: Brussels terrorist attacks, Islamophobia | Permalink.